We invite you to beautiful Sitia in Crete (Greece) for a fantastic holiday full of tango classes, milongas, practicas and special events accompanied with the bright sun, the blue sea, delicious food and the friendly company of the local tangueros/as. We offer 2 special packages that include the hotel room with breakfast and direct access to the sea and shops (guaranteed quality of service due to personal relationship with the owner), the whole week's events and advice on activities/siteseeing around the area and during your free time. Watch IMPRESSION FROM THE TANGO HOLIDAYS 2013 - THANK YOU EVERYONE FOR THE FANTASTIC TIME!!! 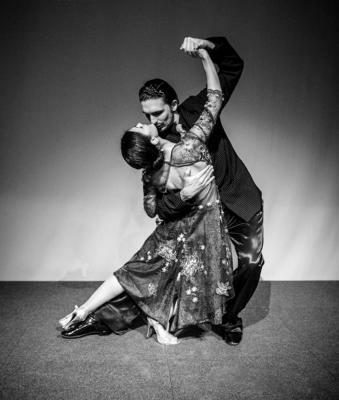 This year the Tango Holiday we will have 2 professional couples teaching and performing, 4 night Milongas at various outdoors venues, nights with performances and an additional 3-days package running parallel to the full week Tango Holiday. All these with discounted prices for bookings before 1st of June. We also have a package and a range of various options for dancers based in Greece (details to come soon). *The FLIGHTS are NOT included in the package. For information on available direct and other flights departing from different UK cities go to TRAVELLING or alternatively feel free to contact us. *For any inquiries and bookings send us an email to: tangoholiday@hotmail.com or call us on 07896310720 (until August 2016) / +306973567240 (after August 2016). *UK AIRPORTS TO HERAKLION: Cheap charter flights from Newcastle and other UK cities directly to Heraklion, the closest city which accommodates charter flights. Charter flights from UK are mostly on Tuesdays - some UK airports have flights twice or more per week. 2. or travel to Heraklion with a Minoan Lines Ferry overnight (or during the day). This is a very flexible option due to daily flights to Sitia (some days there are 2 flights). It gives you the possibility of visiting and exploring Athens before or after the Tango Holidays/Festival.